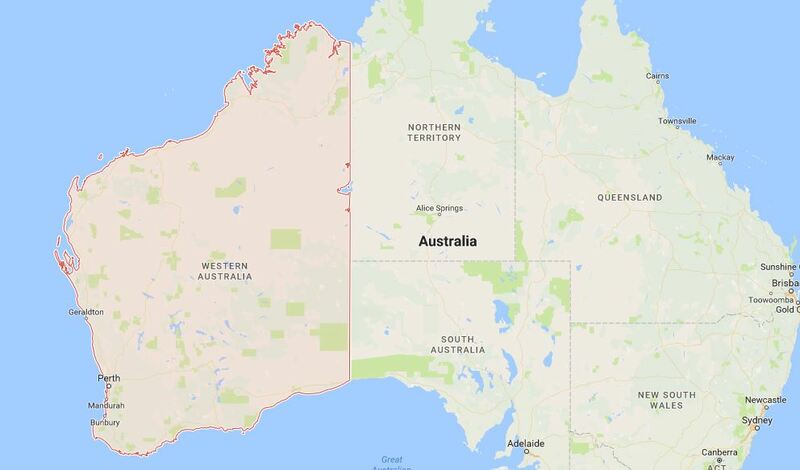 Western Australia is a truly enormous place. Over half of it on the east is desert or semi desert. Only on the western and southern sides are there largish populations. Perth its capital city, is one of most remote cities in the world. It grows larger and larger with the influx of people drawn in to the mining and oil industries, expanding up and down the coast. Most visitors will fly into Perth, alternatives being crossing the Nullarbor Plain by road, catching the Great Southern Rail train from the east, or entering by land from the Northern Territory. Western Australia’s climate varies depending on latitude, Perth’s summer temperatures can be in the 40’s, while in the winter there can be a fair amount of rain and chilly nights in the hills. The south can be a little cooler in summer and this is a good time to visit there. In the north, it will be even hotter in summer and it is better to go there in winter, spring or autumn. Highlights for the traveler include Perth itself, Fremantle or Freo as the locals call it; the south with towns such as Margaret River, Albany and Esperance with the natural beauty surrounding them, and national parks such as Ningaloo reef and Karijini to the north. We will be talking more about these locations in separate blogs. Inland from Perth lies a range of low wooded hills, and an easy day trip away on the other side of these to the east, there is the small town of York. This is the oldest inland town in Western Australia and has a number of heritage buildings. South of Perth is the city of Bunbury. This can be reached by train as well as road routes. It is a port city for the industries of WA but also has some fairly good beaches to hang out on. 600 kilometers to the east of Perth lies Kalgoorlie a gold mining town founded in 1893. It is still a bit of a wild west town but is also prosperous and buzzing from the mining industries that are around it. The vast distances in WA mean that the far north around Broome and the Kimberley take several days to reach by road, and may not fit into a short itinerary unless you plan to fly there. If you do have time a road trip in Western Australia is something you won’t forget, even if you only make it down to the south. You could do a short tour to Margaret River in 4 days, or a tour as far as Esperance and its national parks within a week. Ningaloo and Karijini really need longer than a week to do them justice or you will spend most of your time driving. If you are short of time its probably best getting a short flight up there. There are wineries in the Swan River area and further down the coast to Margaret River and Pemberton which you can visit. If you are interested in Australian wildlife there is whale watching from Cape Leeuwin near Augusta. You may see dolphins anywhere up the coast and even in the Swan River. Monkey Mia is famous for its ‘tame’ dolphins. There are kangaroos roaming on Heirisson Island in the middle of the Swan River in Perth and you will see them in the wild once you get out into the country. Snorkeling is good on Rottnest Island and especially good at Ningaloo. Be warned some Australians will not go in the sea at times of the year when there are large sharks around, though to play it safe if you bathe on a lifeguard watched beach with helicopter flyovers you should be ok.